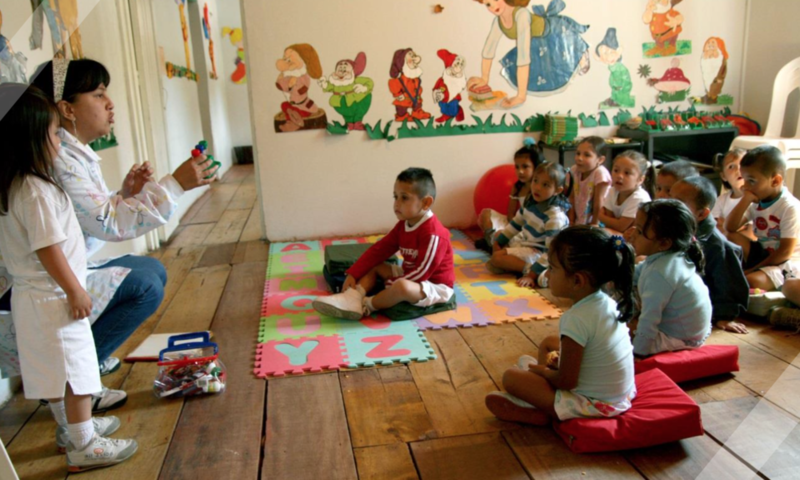 Educational Childcare program in Colombia, in partnership with Entreculturas. Playing permits children to explore, discover and develop their capacities and emotions and to learn about the world around them. However, in vulnerable contexts and, especially in the case of refugees and internally displaced children, play and recreation gain an added value, as they become tools to provide order, stability, protection and hope to the younger children. In Colombia, the internal armed conflict is one of the most prominent social and humanitarian problems of the country: it has caused the displacement of about six million people, 65% of which are minors.